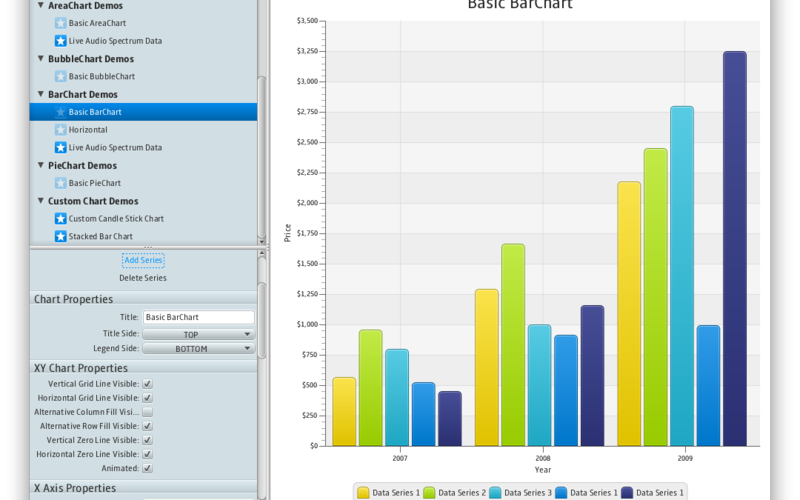 Nice charts. All screenshots were made on Mac OS X. 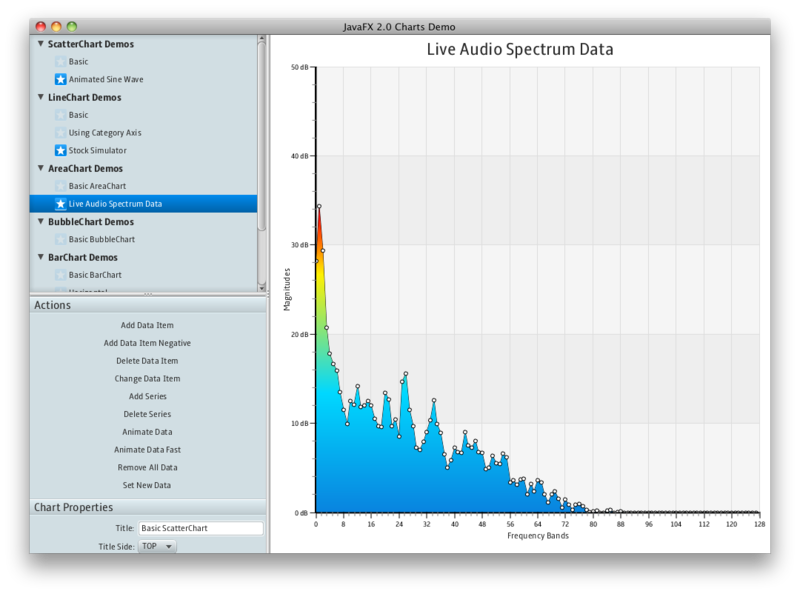 Is there a Java FX version for Mac? Nice! As these screenshots were take on OS X, I suppose there must be a runtime somewhere. Is it already available? It is not yet available for download, I don’t have an ETA to announce. But yes, it does exist. I can’t wait to try it (I don’t want/can’t register as silver partner to get a hand on the early access). 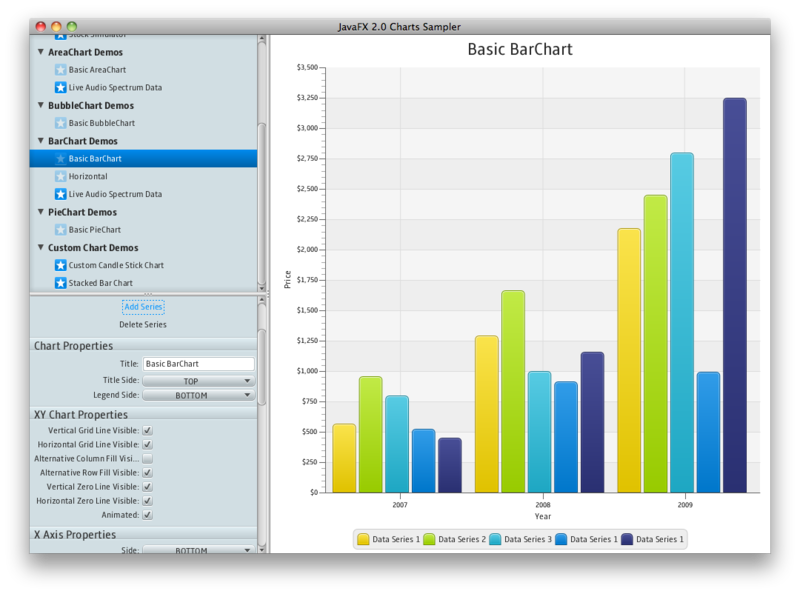 Sorry guys, but where to we download the JavaFX 2.0 Charts lib from? 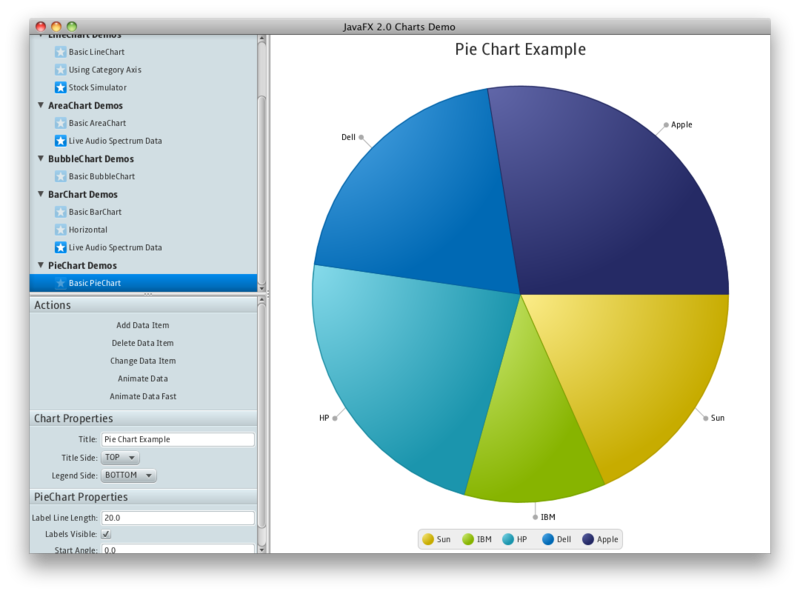 It is included in the JavaFX 2.0 beta runtime, in the javafx.scene.chart package. 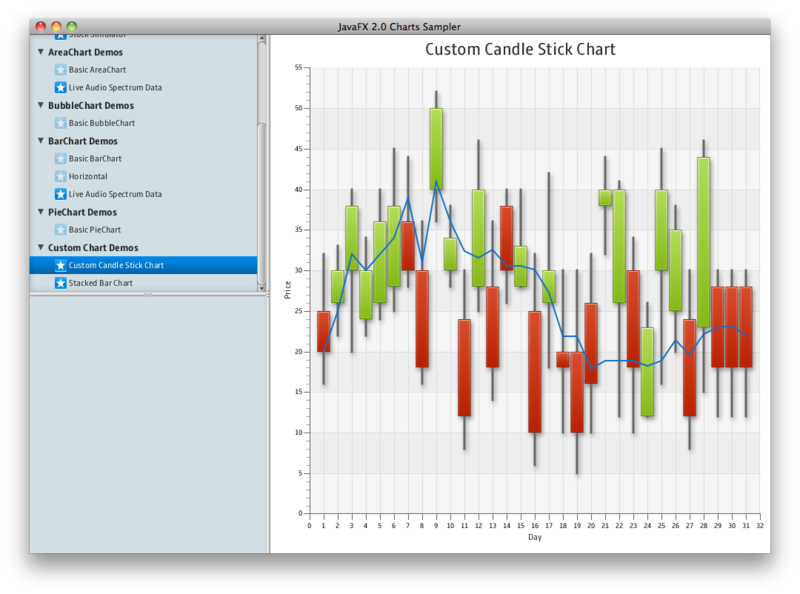 Are charts not showing up in the javadocs? I tried wading through the JavaDocs but must have missed something… how do you render these graphics to an image, such as a PNG file that can be saved to disk, included in a report, or sent back from a servlet? 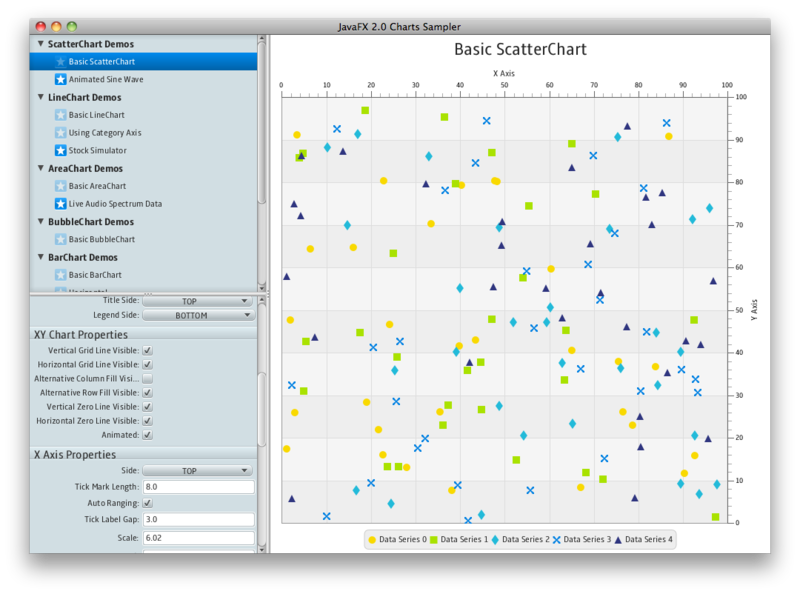 It’s trivial with Java2D-based charting solutions in general. We don’t have a API for this today but it is high on my priority list to get in as soon as I can get it in the pipeline. I’d love to try it, but it doesn’t run on linux yet.